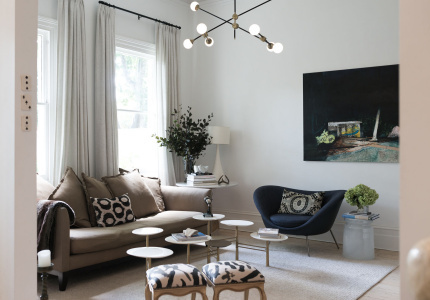 A Melbourne interior designer has turned a rundown Victorian into a light-filled home that’s both sleek and warm. 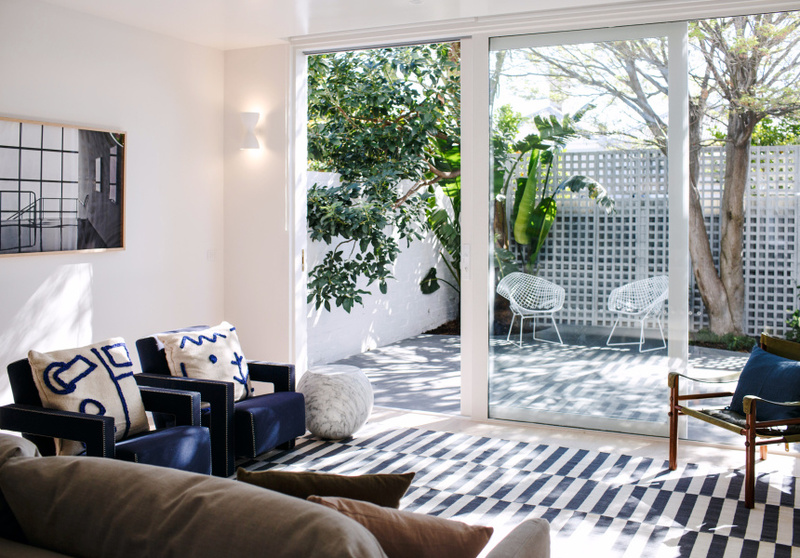 Interior designer Sophie Di Pasquale lives in a Victorian terrace dating to the 1890s in South Yarra. 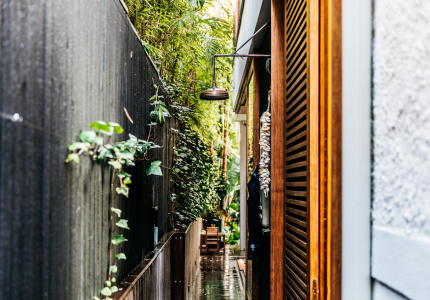 It’s in a narrow one-way street just a short walk from Prahran Market and Fawkner Park. She’s been involved in award-winning design projects in Sydney and Melbourne during her time with SJB Interiors and most recently Fiona Lynch, after a stint in London working on projects across Europe. From Bondi penthouses to some of Melbourne’s best new bars and retail spaces – Smalls, Viktoria & Woods – her skill lies in combining polish and elegance with warmth and individuality. 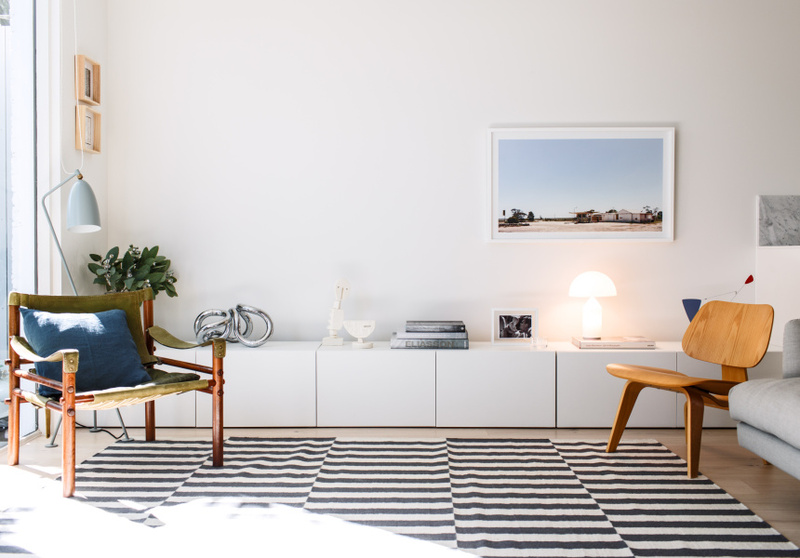 That’s exactly what she brought to her latest design project – her own home. 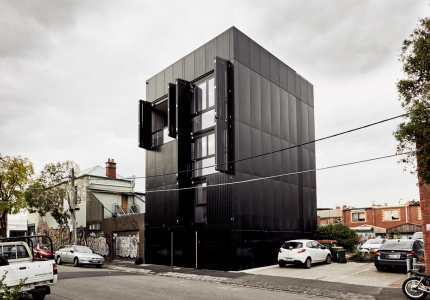 Lives: In a recently renovated, single-fronted terrace in South Yarra. With who: Her husband Tom and nine-month-old son Max. Have you made any changes to it since you moved in? Yes, some fairly significant ones, together with our builder Tilbuilt. We recently completed a renovation where the Victorian frontage, the avocado tree and the Japanese maple were the only remaining components. The extension is built in a recycled brick to ensure the transition from old to new is seamless, timeless and a quiet addition to its surroundings. Favourite room in the house? There is a lovely connection to the courtyard from the living room, which I love. The afternoon shadows cast from the maple tree are beautiful. The city view from our bedroom with the hot air balloons descending on Fawkner Park in the morning ain't too bad either. Favourite item in the house? Wow, it’s hard to single out one piece. I would have to say our chair collection is pretty special to us. Each chair has a little story behind it, from birthday gifts to the iconic Series 7 dining chairs purchased from the Stokehouse (where we got married.) 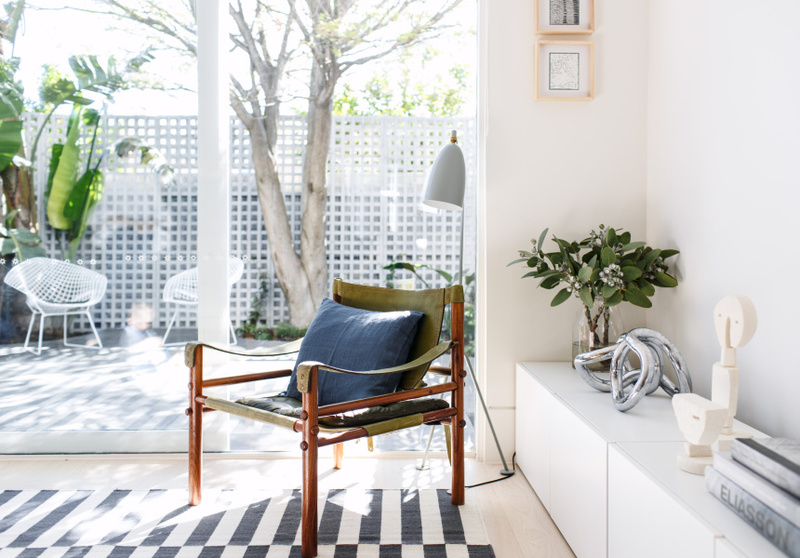 The Bertoia diamond chairs are extra significant as Tom proposed to me with them – smart man. Criteria Showroom: for its beautifully curated collection. Luke and Anibou: for my Scandi fix. Leonard Joel Auctions and Smith Street Bazaar: for unique design pieces that don't break the bank. NGV Design Store: I'm a sucker for gallery merch. 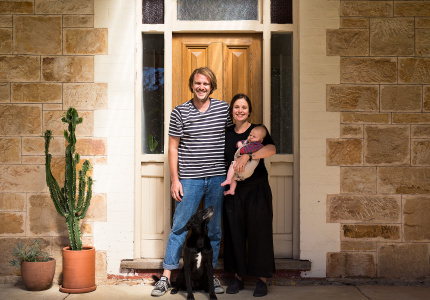 Home Visits is a new Broadsheet series exploring homes across Australia.